Self-discipline, also called “self-control,” or “self-regulation,” is considered by most of us as an essential trait to learn on the way to adulthood. Without it, a person doesn’t share, play well with others, work as a member of a team or hold back his or her anger when wronged–all important aspects of parenting and just getting along in the world. It’s opposite–impulsive– is a lack self-control, generally considered a negative trait. But where does self-discipline come from? It may seem obvious that self-discipline is something a child learns from a parent, and that if a child has self-discipline early in life, he will have greater success in his school performance and career. But by looking at the actual scientific evidence for these beliefs, parents can gain insights on how best to model self-discipline—early and often. When Does Self Discipline Arrive in a Child? Self-control first appears in 1-year-olds when they notice that other people are imposing demands on them. And, if they want to fit in and get their needs met, they comply. By 2 years of age, a toddler has internalized these earlier lessons to the point where they’re capable of self-control when mother or another primary caregiver is not around. At 3, children are capable of “self-regulation.” They can adapt to different situations and control their own behaviors. Studies show that although most preschoolers have a little self-control, the ability to delay gratification takes until high school to fully manifest in a youngster. For example, in one 1990 study, children were given a task to complete and a choice of rewards if they succeeded: a small reward immediately or a larger one the next day. About one third of the 6- to 8-year-olds chose to wait the extra day for the larger reward, while one half of the 9- to 11-year-olds chose to wait. But by 12 to 15 years old, nearly all the participants chose to delay their gratification by waiting the extra day for a better payoff. Similarly structured studies have shown that the choice made as a preschooler about whether to wait or get the goodies right away tends to stick with children as they age. Researchers tracked down nearly 200 adolescents who had been tested as 4-year-olds in a similar self-control experiment and who were now 15- to 18-year-olds. In the original study they had been placed in a room with a bell and told that they would receive a bigger reward if they sat and waited until the experimenter returned. But if they rang the bell sooner they would receive a smaller reward. Experimenters were able to make significant correlations between the children who waited the longest for their reward at age four and a variety of positive coping skills and personality traits— even higher SAT scores in the same children as adolescents. Among the highest correlations were seen between a youngster’s early demonstration of positive self-control and his later ability to resist temptation and distractions, and achieve a higher score on his SAT quantitative scale. A moderate correlation was found to his later ability to plan and handle stress, and achieve higher scores on an SAT Verbal scale. Why Does the Ability to be Self disciplined Stick Between Early Childhood and Adolescence? Results: Of the children exposed to an adult model who delayed gratification, 50 percent shifted their own preferences so that on a second test they also delayed their rewards. Similarly, most of those shown models who did not delay gratification imitated that response the next time they were tested. 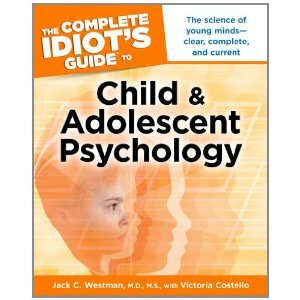 When parents are very strict and controlling of their children’s behavior, the children have less self-control. Even with children as young as 1 year, when the child agrees with the parent’s request to change their behavior (“Don’t touch that”, “Put away your toys before you have a snack”), compliance (and thus self-regulation) is much higher. When parents encourage their children to be independent and make their own decisions, they have greater self-control. These experiments demonstrate that nurture, in the form of an adult’s positive modeling, is a significant influence in shaping a child’s ability to self-regulate from the earliest years onward. A child’s innate temperament is also considered an important factor in determining his levels of self-discipline and impulsivity. Researchers have linked several aspects of temperament in infancy, including inhibition, effortful control, and fearfulness to later behaviors. These traits were correlated with the older children’s ability to follow rules, their tendency to cheat, and their ability to show emotional self-control under stress. Self-discipline is a trait many psychologists believe to be foundational to happiness and security. That makes it among the most important life-long skills a person can have; at the core of someone’s ability to be a good person, a productive worker, and an effective parent. This entry was posted in child development, Child Mental health Research, Teenage brain and tagged discipline for children, parent's anger, parenting advice, self-discipline. Bookmark the permalink.